means an article which, whilst not being an in vitro diagnostic medical device, is intended specifically by its manufacturer to be used together with a device to enable that device to be used in accordance with its intended purpose. means the natural or legal person with responsibility for the design, manufacture, packaging and labelling of a device before it is placed on the market under his own name, regardless of whether these operations are carried out by that person himself or on his behalf by a third party. ‘putting into service’means the stage at which a device has been made available to the final user as being ready for use on the Community market for the first time for its intended purpose. 3. At trade fairs, exhibitions, demonstrations, scientific or technical gatherings, etc. Member States shall not create any obstacle to the showing of devices which do not conform to this Directive, provided that such devices are not used on specimens taken from the participants and that a visible sign clearly indicates that such devicescannot be marketed or put into service until they have been made to comply. 1. The Commission shall be assisted by the Committee set up by Article 5 of Directive 98/34/EC (hereinafter referred to as ‘the Committee’). 2. Where reference is made to this Article, Articles 3 and 7 of Decision 1999/468/EC (14) shall apply, having regard to the provisions of Article 8 thereof. 2. Where reference is made to this paragraph, Articles 5 and 7 of Council Decision 1999/468/EC (15) shall apply, having regard to the provisions of Article 8 thereof. — the measures are unjustified, it shall immediately so inform the Member State which took the initiative and the manufacturer or his authorised representative. — in the case of devices covered by Annex II and of devices for self-testing, of all data allowing for identification of such devices, the analytical and, where appropriate, diagnostic parameters as referred to in Annex I, part A, section 3, the outcome of performance evaluation pursuant to Annex VIII, certificates and any significant change thereto, including discontinuation of placing on the market. 4. The notification referred to in paragraph 1 shall also include any new device. In addition, where, in the context of such notification, a device notified, bearing the CE marking, is a ‘new product’, the manufacturer shall indicate this fact on his notification. 5. Member States shall take all necessary measures to ensure that the notifications referred to in paragraphs 1 and 3 are registered immediately in the databank described in Article 12. The procedures for implementing this Article and in particular those referring to the notification and the concept of significant change shall be adopted in accordance with the regulatory procedure referred to in Article 7(2). 4. Where, in the context of notification referred to in Article 10, a device notified, bearing the CE marking, is a ‘new’ product, the manufacturer shall indicate this fact on his notification. The competent authority so notified may at any time within the following two years and on justified grounds, require the manufacturer to submit a report relating to the experience gained with the device subsequent to its being placed on the market. 5. Member States shall on request inform the other Member States of the details referred to in paragraphs 1 to 4. The procedures implementing this Article shall be adopted in accordance with the regulatory procedure referred to in Article 7(2). 3. The procedures implementing this Article shall be adopted in accordance with the regulatory procedure referred to in Article 7(2). Where a Member State considers, in relation to a given product or group of products, that, in order to ensure protection of health and safety and/or to ensure that public health requirements are observed pursuant to Article 36 of the Treaty, the availability of such products should be prohibited, restricted or made subject to particular requirements, it may take any necessary and justified transitional measures. It shall then inform the Commission and all the other Member States, giving the reasons for its decision. The Commission shall consult the interested parties and the Member States and, where the national measures are justified, adopt necessary Community measures. Those measures, designed to amend non-essential elements of this Directive by supplementing it, shall be adopted in accordance with the regulatory procedure with scrutiny referred to in Article 7(3). On imperative grounds of urgency, the Commission may have recourse to the urgency procedure referred to in Article 7(4). it shall submit a duly substantiated request to the Commission and ask it to take the necessary measures. Where those measures concern matters referred to in point (a), designed to amend non-essential elements of this Directive, they shall be adopted in accordance with the regulatory procedure with scrutiny referred to in Article 7(3). Where those measures concern matters referred to in point (b), they shall be adopted in accordance with the regulatory procedure referred to in Article 7(2). 1. Member States shall notify the Commission and other Member States of the bodies which they have designated for carrying out the tasks pertaining to the procedures referred to in Article 9 and the specific tasks for which the bodies have been designated. The Commission shall assign identification numbers to these bodies, hereinafter referred to as ‘notified bodies’. shall state the exact grounds on which it is based. Such decisions shall be notified without delay to the partyconcerned, who shall at the same time be informed of the remedies available to him under the national law in force in the Member State in question and of the time limits to which such remedies are subject. Specimen receptacles are considered to be in vitro diagnostic medical devices. “Specimen receptacles” are those devices, whether vacuum-type or not, specifically intended by their manufacturers for the primary containment and preservation of specimens derived from the human body for the purpose of in vitro diagnostic examination. ‘5. The notified body shall inform the other notified bodies and the competent authority about all certificates suspended or withdrawn and, on request, about certificates issued or refused. It shall also make available, on request, all additional relevant information. 3. The Committee referred to in Article 7 may undertake its tasks from the date of entry into force of this Directive. The Member States may take the measures referred to in Article 15 as from the entry into force of this Directive. The devices must be designed and manufactured in such a way that, when used under the conditions and for the purposes intended, they will not compromise, directly or indirectly, the clinical condition or the safety of the patients, the safety or health of users or, where applicable, other persons, or the safety of property. Any risks which may be associated with their use must be acceptable when weighed against the benefits to the patient and be compatible with a high level of protection of health and safety. The devices must be designed and manufactured in such a way that they are suitable for the purposes referred to in Article 1(2)(b), as specified by the manufacturer, taking account of the generally acknowledged state of the art. They must achieve the performances, in particular, where appropriate, in terms of analytical sensitivity, diagnostic sensitivity, analytical specificity, diagnostic specificity, accuracy, repeatability, reproducibility, including control of known relevant interference, and limits of detection, stated by the manufacturer. The characteristics and performances referred to in sections 1 and 3 must not be adversely affected to such a degree that the health or the safety of the patient or the user and, where applicable, of other persons, are compromised during the lifetime of the device as indicated by the manufacturer, when the device is subjected to the stresses which can occur during normal conditions of use. When no lifetime is stated, the same applies for the lifetime reasonably to be expected of a device of that kind, having regard to the intended purpose and the anticipated use of the device. The devices must be designed, manufactured and packed in such a way that their characteristics and performances during their intended use will not be adversely affected under storage and transport conditions (temperature, humidity, etc.) taking account of the instructions and information provided by the manufacturer. The devices must be designed and manufactured in such a way as to achieve the characteristics and performances referred to in section A on the ‘General requirements’. Particular attention must be paid to the possibility of impairment of analytical performance due to incompatibilitybetween the materials used and the specimens (such as biological tissues, cells, body fluids and micro-organisms) intended to be used with the device, taking account of its intended purpose. The devices must be designed, manufactured and packed in such a way as to reduce as far as possible the risk posed by product leakage, contaminants and residues to the persons involved in the transport, storage and use of the devices, taking account of the intended purpose of the products. The devices and their manufacturing processes must be designed in such a way as to eliminate or reduce as far as possible the risk of infection to the user or other persons. The design must allow easy handling and, where necessary, reduce as far as possible contamination of, and leakage from, the device during use and, in the case of specimen receptacles, the risk of contamination of the specimen. The manufacturing processes must be appropriate for these purposes. Where a device incorporates biological substances, the risks of infection must be reduced as far as possible by selecting appropriate donors and appropriate substances and by using appropriate, validated inactivation, conservation, test and control procedures. Devices labelled either as ‘STERILE’ or as having a special microbiological state must be designed, manufactured and packed in an appropriate pack, according to procedures suitable for ensuring that they remain in the appropriate microbiological state indicated on the label when placed on the market, under the storage and transport conditions specified by the manufacturer, until the protective packaging is damaged or opened. Devices labelled either as ‘STERILE’ or as having a special microbiological state must have been processed by an appropriate, validated method. Packaging systems for devices other than those referred to in section 2.3 must keep the product without deterioration at the level of cleanliness indicated by the manufacturer and, if the devices are to be sterilised prior to use, reduce as far as possible the risk of microbial contamination. Devices intended to be sterilised must be manufactured in appropriately controlled (e.g. environmental) conditions. Packaging systems for non-sterile devices must keep the product without deterioration at the level of cleanliness stipulated and, if the devices are to be sterilised prior to use, minimise the risk of microbial contamination; the packaging system must be suitable taking account of the method of sterilisation indicated by the manufacturer. If the device is intended for use in combination with other devices or equipment, the whole combination, including the connection system, must be safe and must not impair the specified performances of the devices. Any restrictions on use must be indicated on the label and/or in the instructions for use. Devices must be designed and manufactured in such a way as to reduce as far as possible the risks linked to their use in conjunction with materials, substances and gases with which they may come into contact during normal conditions of use. — risks linked to reasonably foreseeable external influences, such as magnetic fields, external electrical effects, electrostatic discharge, pressure, humidity, temperature or variations in pressure or acceleration or accidental penetration of substances into the device. Devices must be designed and manufactured in such a way as to reduce as far as possible the risks of fire or explosion during normal use and in single fault condition. Particular attention must be paid to devices whose intended use includes exposure to or use in association with flammable substances or substances which could cause combustion. Devices must be designed and manufactured in such a way as to facilitate the management of safe waste disposal. The measuring, monitoring or display scale (including colour change and other visual indicators) must be designed and manufactured in line with ergonomic principles, taking account of the intended purpose of the device. Devices which are instruments or apparatus having a primary analytical measuring function must be designed and manufactured in such a way as to provide adequate stability and accuracy of measurement within appropriate accuracy limits, taking into account the intended purpose of the device and of available and appropriate reference measurement procedures and materials. The accuracy limits have to be specified by the manufacturer. When values are expressed numerically, they must be given in legal units conforming to the provisions of Council Directive 80/181/EEC of 20 December 1979 on the approximation of the laws of the Member States relating to units of measurement (16). Devices shall be designed, manufactured and packaged in such a way that exposure of users and other persons to the emitted radiation is minimised. — fitted with visual displays and/or audible warnings of such emissions. The operating instructions for devices emitting radiation must give detailed information as to the nature of the emitted radiation, means of protecting the user, and on ways of avoiding misuse and of eliminating the risks inherent in installation. Devices incorporating electronic programmable systems, including software, must be designed to ensure the repeatability, reliability and performance of these systems according to the intended use. Devices must be designed and manufactured in such a way as to minimise the risks of creating electromagnetic perturbation which could impair the operation of other devices or equipment in the usual environment. Devices must be designed and manufactured in such a way as to avoid, as far as possible, the risk of accidental electric shocks during normal use and in single fault condition, provided the devices are installed and maintained correctly. Devices must be designed and manufactured in such a way as to protect the user against mechanical risks. Devices must be sufficiently stable under the foreseen operating conditions. They must be suitable to withstand stresses inherent in the foreseen working environment, and to retain this resistance during the expected life of the devices, subject to any inspection and maintenance requirements as indicated by the manufacturer. Devices must be designed and manufactured in such a way as to reduce as far as possible the risks arising from the noise emitted, taking account of technical progress and of the means available to reduce noise, particularly at source, unless the noise emitted is part of the specified performance. Terminals and connectors to electricity, gas or hydraulic and pneumatic energy supplies which the user has to handle must be designed and manufactured in such a way as to minimise all possible risks. Accessible parts of the devices (excluding the parts of areas intended to supply heat or reach given temperatures) and their surroundings must not attain potentially dangerous temperatures under normal use. Devices for self-testing must be designed and manufactured in such a way that they perform appropriately for their intended purpose taking into account the skills and the means available to users and the influence resulting from variation that can reasonably be anticipated in users’ technique and environment. The information and instructions provided by the manufacturer should be easily understood and applied by the user. — reduce as far as practicable the risk of user error in the handling of the device and in the interpretation of the results. Devices for self-testing must, where reasonably possible, include user control, i.e. a procedure by which the user can verify that, at the time of use, the product will perform as intended. In duly justified and exceptional cases no such instructions for use are needed for a device if it can be used properly and safely without them.The decision whether to translate the instructions for use and the label into one or more languages of the European Union shall be left to the Member States, except that, for devices for self-testing, the instructions for use and the label must include a translation into the official language(s) of the Member State in which the device for self-testing reaches its final user. Where appropriate, the information to be supplied should take the form of symbols. Any symbol and identification colour used must conform to the harmonised standards. In areas for which no standards exist, the symbols and colour used must be described in the documentation supplied with the device. In the case of devices containing or a preparation which may be considered as being dangerous, taking account of the nature and quantity of its constituents and the form under which they are present, relevant danger symbols and labelling requirements of Directive 67/548/EEC (17) and Directive 88/379/EEC (18) shall apply. Where there is insufficient space to put all the information on the device itself or on its label, the relevant danger symbols shall be put on the label and the other information required by those Directives shall be given in the instructions for use. If the intended purpose of the device is not obvious to the user, the manufacturer must clearly state the intended purpose in the instructions for use and, if appropriate, on the label. Wherever reasonable and practicable, the devices and separate components must be identified, where appropriate in terms of batches, to allow all appropriate action to detect any potential risk posed by the devices and detachable components. — variant Creutzfeldt-Jakob disease (vCJD) assays for blood screening, diagnosis and confirmation. — the following device for self-diagnosis, including its related calibrators and control materials: device for the measurement of blood sugar. The EC declaration of conformity is the procedure whereby the manufacturer or his authorised representative who fulfils the obligations imposed by section 2 to 5 and additionally, in the case of devices for self-testing, the obligations imposed by section 6, ensures and declares that the products concerned meet the provisions of this Directive which apply to them. The manufacturer must affix the CE marking in accordance with Article 16. The manufacturer must prepare the technical documentation described in section 3 and ensure that the manufacturing process follows the principles of quality assurance as set out in section 4. — the results of stability studies. The manufacturer shall take necessary measures to ensure that the manufacturing process follows the principles of quality assurance as appropriate for the products manufactured. — the means to monitor the performance of the quality system. For devices for self-testing the manufacturer shall lodge an application for examination of the design with a notified body. The application shall enable the design of the device to be understood and shall enable conformity with the design-related requirements of the directive to be assessed. — the information to be provided with the device on its label and its instructions for use. The notified body shall examine the application and, if the design conforms to the relevant provisions of this Directive shall issue the applicant with an EC design-examination certificate. The notified body may require the application to be completed by further tests or proof to allow assessment of conformity with the design-related requirements of the Directive. The certificate shall contain the conclusions of the examination, the conditions of validity, the data needed for identification of the approved design and, where appropriate, a description of the intended purpose of the product. The applicant shall inform the notified body which issued the EC design-examination certificate of any significant change made to the approved design. Changes to the approved design must receive further approval from the notified body which issued the EC design-examination certificate wherever the changes could affect conformity with the essential requirements of the Directive or with the conditions prescribed for use of the product. This additional approval shall take the form of a supplement to the EC design-examination certificate. The manufacturer must ensure application of the quality system approved for the design, manufacture and final inspection of the devices concerned, as specified in section 3, and is subject to audit as laid down in section 3.3 and to the surveillance as specified in section 5. In addition, the manufacturer must follow, for devices covered by Annex II, List A, the procedures laid down in sections 4 and 6. The declaration of conformity is the procedure whereby the manufacturer who fulfils the obligations imposed by section 1 ensures and declares that the devices concerned meet the provisions of this Directive which apply to them. — an undertaking by the manufacturer to institute and keep up to date a systematic procedure to review experience gained from devices in the post-production phase and to implement appropriate means to apply any necessary corrective action and notification as referred to in Annex III, section 5. Application of the quality system must ensure that the devices conform to the provisions of this Directive which apply to them at every stage, from design to final inspection. All the elements, requirements and provisions adopted by the manufacturer for his quality system must be documented in a systematic and orderly manner in the form of written policies and procedures, such as quality programmes, quality plans, quality manuals and quality records. The notified body must audit the quality system to determine whether it meets the requirements referred to in section 3.2. It must presume that quality systems which implement the relevant harmonised standards conform to the requirements. The assessment team must have experience of assessments of the technology concerned. The assessment procedure must include an inspection on the manufacturer’s premises and, in duly substantiated cases, on the premises of the manufacturer’s suppliers and/or subcontractors to inspect the manufacturing processes. The manufacturer must inform the notified body which approved the quality system of any plan for substantial changes to the quality system or the product-range covered. For devices covered by Annex II, List A, in addition to the obligations imposed by section 3, the manufacturer must lodge with the notified body an application for examination of the design dossier relating to the device which he plans to manufacture and which falls into the category referred to in section 3.1. The application must describe the design, manufacture and performances of the device in question. It must include the documents needed to assess whether the device conforms to the requirements of this Directive, as referred to in section 3.2(c). The notified body must examine the application and, if the device conforms to the relevant provisions of the Directive, issue the application with an EC design-examination certificate. The notified body may require the application to be completed by further tests or proof to allow assessment of conformity with the requirements of the Directive. The certificate must contain the conclusions of the examination, the conditions of validity, the data needed for the identification of the approved design and, where appropriate, a description of the intended purpose of the device. Changes to the approved design must receive further approval from the notified body which issued the EC design-examination certificate wherever the changes could affect conformity with the essential requirements of the Directive or with the conditions prescribed for use of the device. The applicant shall inform the notified body which issued the EC design-examination certificate of any such changes made to the approved design. The additional approval must take the form of a supplement to the EC design-examination certificate. The manufacturer shall inform the notified body without delay if it has obtained information about changes to the pathogen and markers of infections to be tested, in particular as a consequence of biological complexity and variability. In this connection, the manufacturer shall inform the notified body whether any such change is likely to affect the performance of the in vitro diagnostic medical device concerned. In the case of devices covered by Annex II, List A, the manufacturer shall forward to the notified body without delay after the conclusion of the controls and tests the relevant reports on the tests carried out on the manufactured devices or each batch of devices. Furthermore, the manufacturer shall make the samples of manufactured devices or batches of devices available to the notified body in accordance with pre-agreed conditions and modalities. The manufacturer may place the devices on the market, unless the notified body communicates to the manufacturer within the agreed time-frame, but not later than 30 days after reception of the samples, any other decision, including in particular any condition of validity of delivered certificates. EC type-examination is the part of the procedure whereby a notified body ascertains and certifies that a representative sample of the production envisaged fulfils the relevant provisions of this Directive. The application for EC type-examination shall be lodged by the manufacturer or by his authorised representative with a notified body. — in the case of devices for self testing, the information referred to in Annex III, section 6.1.
agree with the applicant on the place where the necessary examinations and tests will be carried out. If the type conforms to the provisions of this Directive, the notified body shall issue the applicant with an EC type-examination certificate. The certificate shall contain the name and address of the manufacturer, the conclusions of the examination, the conditions of validity and the data needed for identification of the type approved. The relevant parts of the documentation shall be annexed to the certificate and a copy shall be kept by the notified body. The manufacturer shall inform the notified body without delay if it has obtained information about changes to the pathogen and markers of infections to be tested, in particular as a consequence of biological complexity and variability. In this connection, the manufacturer shall inform the notified body whether any such change is likely to affect the performance of the in vitro device concerned. Changes to the approved device must receive further approval from the notified body which issued the EC type-examination certificate wherever the changes may affect conformity with the essential requirements of the Directive or with the conditions prescribed for use of the device. The applicant shall inform the notified body which issued the EC type-examination certificate of any such change made to the approved device. This new approval shall take the form of a supplement to the initial EC type-examination certificate. EC verification is the procedure whereby the manufacturer or his authorised representative ensures and declares that the products which have been subject to the procedure set out in section 4 conform to the type described in the EC type-examination certificate and meet the requirements of this Directive which apply to them. The manufacturer must take all the measures necessary to ensure that the manufacturing process produces products which conform to the type described in the EC type-examination certificate and the requirements of the Directive which apply to them. Before the start of manufacture, the manufacturer must prepare documents defining the manufacturing process, in particular as regards sterilisation and the suitability of starting materials, where necessary, and define the necessary testing procedures according to the state of the art. All the routine, pre-established provisions must be implemented to ensure homogeneous production and conformity of the products with the type described in the EC type-examination certificate and with the requirements of this Directive which apply to them. To the extent that for certain aspects the final testing according to section 6.3 is not appropriate, adequate process testing, monitoring and control methods shall be established by the manufacturer with the approval of the notified body. The provisions of Annex IV, section 5, shall apply accordingly in relation to the abovementioned approved procedures. The manufacturer must undertake to institute and keep up to date a systematic procedure to review experience gained from devices in the post-production phase and to implement appropriate means to apply any necessary corrective and notification action as referred to in Annex III, section 5. The notified body must carry out the appropriate examinations and tests taking account of section 2.2 in order to verify the conformity of the product with the requirements of the Directive either by examining and testing every product as specified in section 5 or by examining and testing products on a statistical basis as specified in section 6, as the manufacturer decides. When carrying out statistical verification according to section 6, the notified body has to decide when statistical procedures for lot-by-lot inspection or isolated lot inspection have to be applied. Such decision must be taken in consultation with the manufacturer. Every product is examined individually and the appropriate tests defined in the relevant standard(s) referred to in Article 5 or equivalent tests must be carried out in order to verify the conformity of the products with the EC type described in the type-examination certificate and with the requirements of the Directive which apply to them. The notified body must affix, or have affixed, its identification number to each approved product and must draw up a written certificate of conformity relating to the tests carried out. One or more random samples, as necessary, are taken from each batch. The products which make up the sample are examined and the appropriate tests defined in the relevant standard(s) referred to in Article 5 or equivalent tests must be carried out to verify, where appropriate, the conformity of the products with the type described in the EC type-examination certificate and with the requirements of the Directive which apply to them in order to determine whether to accept or reject the batch. Statistical control of products will be based on attributes and/or variables, entailing sampling schemes with operational characteristics which ensure a high level of safety and performance according to the state of the art. The sampling scheme will be established by the harmonised standards referred to in Article 5, taking account of the specific nature of the product categories in question. If the batch is accepted, the notified body affixes, or has affixed its identification number to each product and draws up a written certificate of conformity relating to the tests carried out. All products in the batch may be put on the market except any in the sample which failed to conform. The manufacturer must ensure application of the quality system approved for the manufacture of the devices concerned and carry out the final inspection, as specified in section 3, and is subject to the surveillance referred to in section 4. The declaration of conformity is the part of the procedure whereby the manufacturer who fulfils the obligations imposed by section 1 ensures and declares that the products concerned conform to the type described in the EC type-examination certificate and meet the provisions of this Directive which apply to them. — the technical documentation on the types approved and a copy of the EC type-examination certificates. Application of the quality system must ensure that the devices conform to the type described in the EC type-examination certificate. The notified body must audit the quality system to determine whether it meets the requirements referred to in section 3.2. It must presume that quality systems which implement the relevant harmonised standards conform to these requirements. The assessment team must have past experience of assessments of the technology concerned. The assessment procedure must include an inspection on the manufacturer’s premises and, in duly substantiated cases, on the premises of the manufacturer’s suppliers and/or subcontractors to inspect the manufacturing processes. The manufacturer shall inform the notified body which approved the quality system of any plan for substantial changes to the quality system. For devices for performance evaluation the manufacturer or his authorised representative shall draw up the statement containing the information stipulated in section 2 and ensure that the relevant provisions of this Directive are met. — a statement that the device in question conforms to the requirements of the Directive, apart from the aspects covered by the evaluation and apart from those specifically itemised in the statement, and that every precaution has been taken to protect the health and safety of the patient, user and other persons. The manufacturer shall also undertake to keep available for the competent national authorities the documentation allowing an understanding of the design, manufacture and performances of the product, including the expected performances, so as to allow assessment of conformity with the requirements of this Directive. This documentation must be kept for a period ending at least five years after the end of the performance evaluation. The provisions of Article 10(1), (3) and (5) shall apply to devices intended for performance evaluation. The notified body, its director and the assessment and verification staff shall not be the designer, manufacturer, supplier, installer or user of the devices which they inspect, nor the authorised representative of any of these persons. They may not be directly involved in the design, construction, marketing or maintenance of the devices, nor represent the parties engaged in these activities. This in no way precludes the possibility of exchanges of technical information between the manufacturer and the body. Should the notified body subcontract specific tasks connected with the establishment and verification of the facts, it must first ensure that the subcontractor meets the provisions of the Directive. The notified body shall keep at the disposal of the national authorities the relevant documents assessing the subcontractor’s qualifications and the work carried out by the subcontractor under this Directive. The notified body must be able to carry out all the tasks assigned to such bodies by one of Annexes III to VII and for which it has been notified, whether these tasks are carried out by the body itself or on its responsibility. In particular, it must have the necessary staff and possess the facilities needed to perform properly the technical and administrative tasks entailed in assessment and verification. This includes the availability of sufficient scientific staff within the organisation who possess adequate experience and knowledge necessary to assess the biological and medical functionality and performance of devices for which it has been notified, in relation to the requirements of this Directive and, in particular, with Annex I requirements. The notified body must also have access to the equipment necessary for the verifications required. The impartiality of the inspection staff must be guaranteed. Their remuneration must not depend on the number of inspections carried out, nor on the results of the inspections. The staff of the inspection body are bound to observe professional secrecy with regard to all information gained in the course of their duties (except vis-à-vis the competent administrative authorities of the State in which their activities are carried out) under this Directive or any provision of national law putting it into effect. 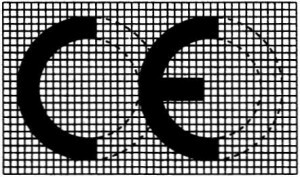 — the various components of the CE marking must have substantially the same vertical dimension, which may not be less than 5 mm. This minimum dimension may be waived for small-scale devices. (14) Council Decision 1999/468/EC of 28 June 1999 laying down the procedures for the exercise of implementing powers conferred on the Commission (OJ L 184, 17.7.1999, p. 23). (16) OJ L 39, 15.2.1980, p. 40. Directive as last amended by Directive 89/617/EEC (OJ L 357, 7.12.1989, p. 28). (17) Council Directive 67/548/EEC of 27 June 1967 on the approximation of laws, regulations and administrative provisions relating to the classification, packaging and labelling of dangerous substances (OJ L 196, 16.8.1967, p. 1). Directive as last amended by Commission Directive 97/69/EC (OJ L 343, 13.12.1997, p. 19). (18) Council Directive 88/379/EEC of 7 June 1988 on the approximation of the laws, regulations and administrative provisions of the Member States relating to the classification, packaging and labelling of dangerous preparations (OJ L 187, 16.7.1988, p. 14). Directive as last amended by Commission Directive 96/65/EC (OJ L 265, 18.10.1996, p. 15).